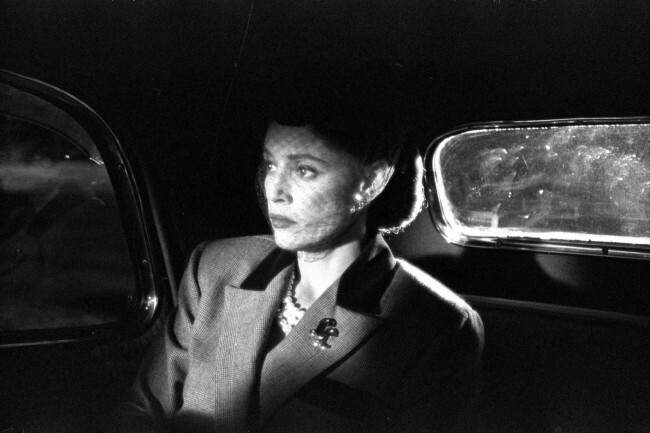 With the Classic Movie History Project Blogathon it was always my feeling that there was, and is, only so much of any given time period that one can truly discuss given the confines of a blog post. Truly if you’re looking at an artform such as film one that was so fruitful at this time, and already a global enterprise, then it becomes doubly impossible to accurately encompass the landscape at the time. Therefore, I felt that the best way to tackle this year was to find an entry point. An entry that would allow me to discuss the topic I chose to focus on through the guise of one film. The Good Neighbor Policy, due to my being a dual citizen of the United States and Brazil, was always a topic that fascinated me. 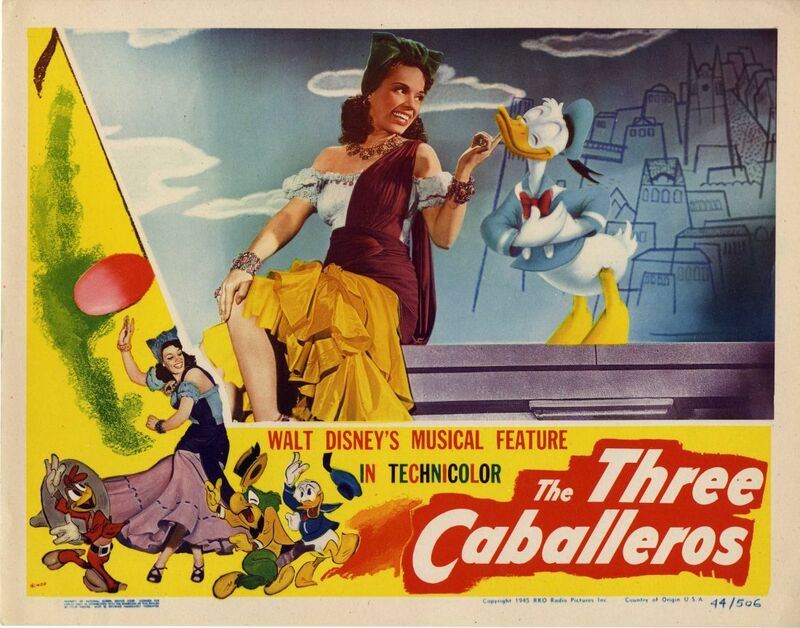 Therefore, I found my “in” in 1944’s (due to its premiere date in Mexico) The Three Caballeros. Ideally, I would’ve loved to have taken in more retrospective viewings of various artists leading up to this post. As fate would have it, this blogathon fell around a time where the blog was very busy and my viewings are slight. Therefore, I hope it will inspire future viewings. In the meantime, however, there are insights one can glean from this title, and some things I do know to be true about how a pacifist, isolationist policy of non-interference did open up Hollywood to new names, voices and cultures. The film that is the centerpiece of this article is one that comes towards the end of The Good Neighbor Policy’s era. 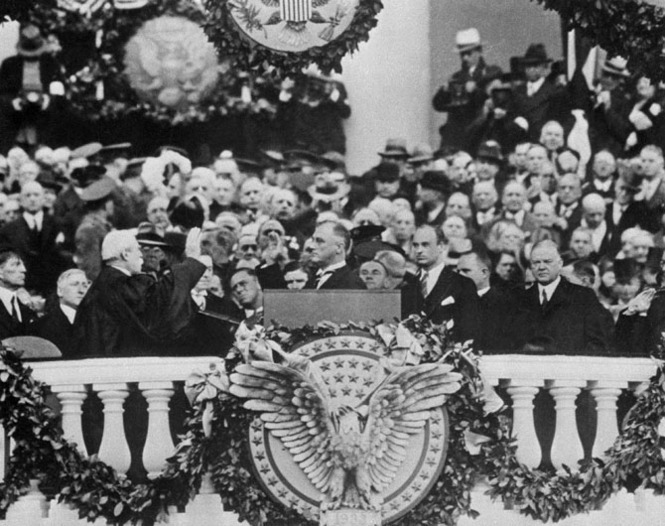 An era commonly defined as ending in 1945 with the threat of the Cold War looming following the end of the World War. This policy was later formalized as any number of occupations and treaties were altered to reflect said intention, and later the formation of the Office of the Coordinator Inter-American Affairs (CIAA) in August of 1940 and appointed Nelson Rockefeller to head the organization. The Great Depression’s necessities aside, it was a policy a long time coming, whereas two such examples of US involvement in Brazil were attempts to free the Amazon waterways for trade and siding with Bolivia with politically, and with additional kinds of support if necessary, in a dispute over a piece of land that now forms the state of Acre. It was the CIAA that pushed the Good Neighbor Policy into the entertainment field. Walt Disney Studios and 20th Century Fox participated; RKO can be said to (though Welles never finished his documentary, and his being sent to Brazil has been generally cited as an excuse to wrest control of the edit of The Magnificent Ambersons away from him). The question of how much influence entertainment has is always something open to debate, however, there’s no question that when seeking to improve an image in the American consciousness the World’s Fair of 1939 was one step, but the motion picture would reach many more hearts and minds. 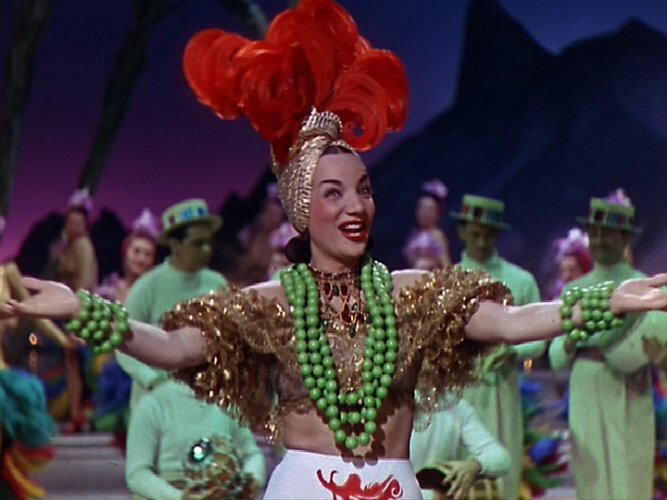 With regards to Carmen Miranda, who representing Brazil, rose to stardom earlier than Disney could get their efforts to the screen; it illustrates the double-edged sword of a nation being brought out of its shell and into the consciousness of another for the first time. Miranda received lavish praise and early stardom here in the US and eventual backlash in Brazil that was ultimately rescinded, just prior to, and upon her untimely passing. Essentially, the difficulty, and the issue is, that no one person is a monolith. She is not a monolith, she is not “The Brazilian bombshell,” but a Brazilian; one Brazilian. While the studio system of the 1940s was the perfect time to bring about some stars generated from these policies due to the amount of films generated and the star-specific packaging many titles employed, it was also a time sure illustrate some issues in the way global figures were handled in pre-globalized world. Now I grant that I’ve seen footage of Miranda but not the films, but I know her playing an Argentine in Down Argentine Way is a stretch, so I take some of the same issues with that concept as they did. Essentially, I view Miranda as a unique personality and persona that seemed to have been shoehorned into almost anything Latin in her time at Fox. The failure of Fox is a lack of specificity, which is where Disney excels in their treatment of Brazilian subject matter. 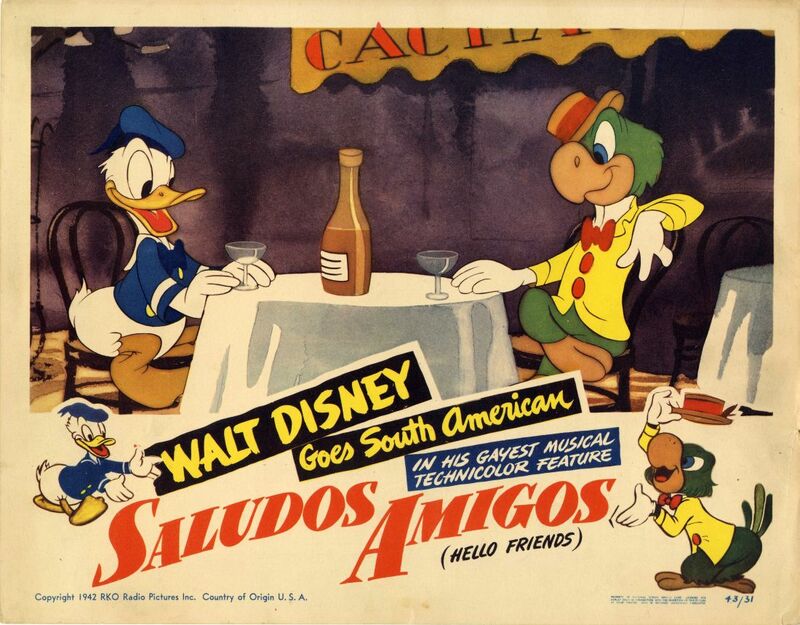 The road to the creation of The Three Caballeros really begins with the release of Saludos Amigos two years prior. Where the Three Caballeros stands out is adding another new character to the mix and expanding the what we knew of one character. And it is worth noting that being ahead of the curve by about 70 years these films premiered in Brazil and in Mexico, as mentioned above, respectively a few months ahead of hitting US theaters. Saludos Amigos features four segments (Lake Titicaca, Pedro, El Gaucho Goofy and Aquarela do Brasil) the first features Donald in classic form struggling on a journey through the mountains; the second an anthropomorphized airplane on an adventure through Chile; thirdly, as one might expect from the title, it’s Goofy flubbing through the ways of the South American cowboy; then via the newly-introduced José Carioca, or Zé Carioca as he is known colloquially, Donald is given a musical medley, metamorphosing watercolor tour of Brazil. The Three Caballeros is similarly constructed in a composite style. However, as opposed to Saludos Amigos it gets into full-blown feature film range (71 minutes) as opposed to Saludos Amigos‘ technically-feature-film-but-really-a-short film range (42 min). This film puts Donald Duck front and center as opposed to just having a segment. Donald not only makes it a humorous film, but is also perhaps the most representatively American character to go on a South/Latin American tour. 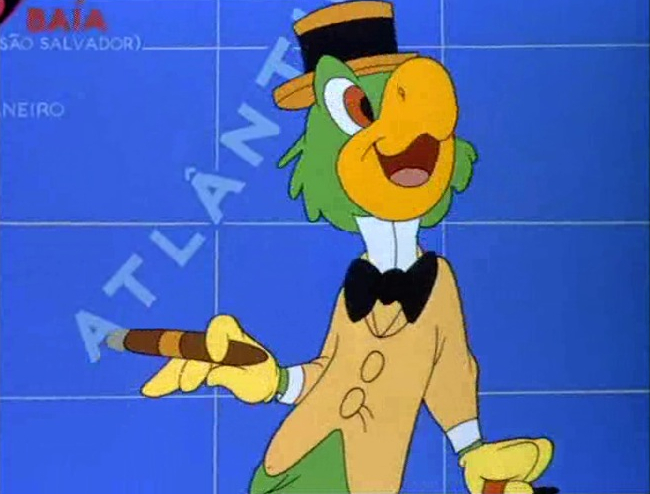 Not only that but the precedent of bird characters had already been set with José Carioca being introduced last time, and Panchito Pistoles joining the trio this time. The framing mechanism in this film is birthday presents to Donald. The great thing is that the first segment is going to Bahia, a part of Brazil it turns out Zé only knows by reputation, which is a move I appreciate because it tips its hat to how big and regional a country Brazil is. Next there is The Cold-Blooded Penguin segment which is a great way to incorporate going all the way up the Pacific coast of South America. There is a quick interstitial with some rare bird species introduced that it also used to transition, and there’s also a hilarious tongue-in-cheek reference to Professor Holloway voiced by Sterling Holloway. 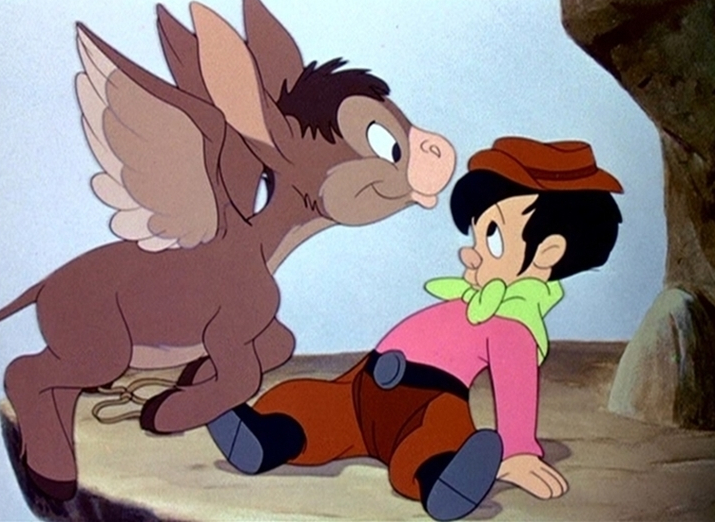 Whereas the last film there was an Argentine gaucho tale here there is a Uruguayan gaucho one with tale of the flying donkey, The Flying Gauchito. While being influenced by the Good Neighbor Policy and at time didactic by nature there is also a good bit of naturalness where things are sometimes just said and not instantly translated, or translated at all, and just left to incite further curiosity. With the tour of Bahia there is beautiful scenery, which I’d like to see restored. Implementation of live-action and animation co-exisiting. It also allows the music to speak for itself. Music which for this film, in Portuguese, was written by the famous Brazilian sambista Ary Barroso. 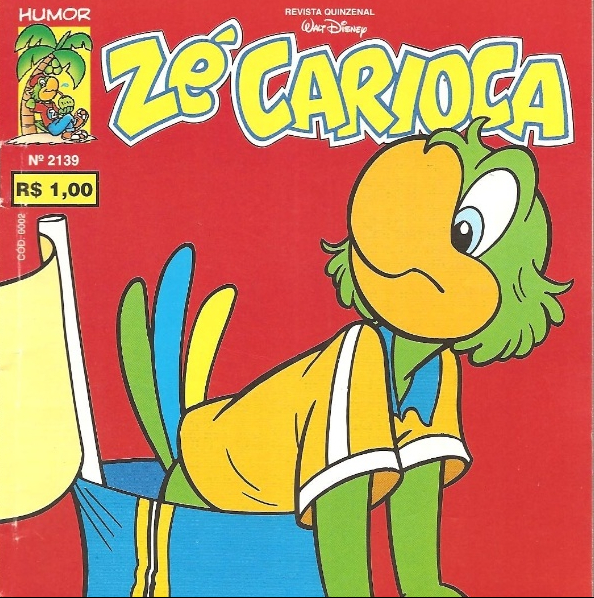 Zé Carioca still survives, and, in fact, thrives in comics in Brazil. Being an originally by Disney he’s a obviously canonical, but is a testament to the power that the Disney characters have in that medium. In fact, in the Brazilian comics his own universe has expanded to include many supporting characters and cousins that represent different parts of the country. Aside from that he has resurfaced in American comics in stories by Don Rosa; on television, in Mickey Mouse Works and House of Mouse and in film as one of the many cameos in Who Framed Roger Rabbit. In the Disney Parks, the addition The Gran Fiesta Tour Starring The Three Caballeros reintroduces them to many. Panchito Pistoles, aside from being a mascot on some Mexican WWII aircraft, he has not had much life outside American-made Disney products. Funnily enough, while there were mixed feelings about Brazil’s first breakthrough thanks to the Good Neighbor Policy, the cartoon no less, that has had a bit of staying power and seems to have offered a less controversial representation. It’s well documented, even in a documentary that I’ve not yet seen, but want to; that Disney and/or his team spent a bit of time in Latin America therefore they got a good sense of the culture and at least on parts I can attest to didn’t go off half-cocked. and created some lasting, lovely tributes to a people and a culture that have stood the test of time. It’s pretty interesting to have happened upon this topic now. I recently discussed both the breakthroughs and the lamentations I had about the globalization of casting. My impetus was another, but the discussion of current Brazilian actors and the roles they are afforded in American films for global consumption is oddly not that different that this one. A progressive governmental impetus was a great breakthrough for Latin culture in the American cinema. Not to be overly-reductive, but it’s sad the Cold War retarded whatever progress could’ve been built off that momentum for a number of years, and when you consider that McCarthyism would soon be in play and careers and lives would be ruined it’s not too far from accurate. As best as I can figure there would not be another Brazilian-born actress breaking through into American films in any significant way until the mid-eighties [Marília Pêra in Mixed Blood (1984) and Sonia Braga in Kiss of the Spider Woman (1985)]. However, I do have hopes regarding the ever-digitizing and -shrinking world that both the long-overlooked past will not be ignored and that mistakes of the past will be righted in the future. There’s a hilarious Carmen Miranda gag on Family Guy where Carter says: “Am I a singer or a dancer? No one knows, they just remember the fruit.” Which is the sad truth with regards to the past. As for the future, the bottom line is that when you go outside what’s known there are new and interesting stories to be told. The Three Caballeros is testament to that, which is 70 years old. Maybe one day we’ll learn from that. This is a recapitualtion of a paper I wrote in school. Part one can be read here. A search can retrieve subsequent parts. Since time does bring about changes and developments, I have included some notes in brackets after statements that may no longer hold true, or at least are in need of further enlightening. In the 1980s Animation and Television are one. Even more so than in the 1970s animation was in the 80s a medium of television, while the animated feature was always a rarity we see in the 80s the complete discontinuation of cinematic shorts and the dominance of half hour animated programs before getting to that there are some important developments in the cinema that need examining. Walt Disney Studios were my catechism in film. From 1937 to 1995 they were the Notre Dame of film in my eyes and could do no wrong. There is an asterisk, however, and that comes in the 1980s. The films they made were very eclectic in the 80s. Not that there was anything wrong with the Disney of the 1980s, oddly their best film of the period may have been The Brave Little Toaster in 1987 but one of the best things the 80s brought us was a legitimate alternative American feature length animation film for the first time since Max Fleischer’s Gulliver’s Travels. One of the very best films ever made has got to be Who Framed Roger Rabbit. It took the technology from Bedknobs and Broomsticks to the nth degree. Not only that but it’s one of the most entertaining and delightful films I’ve eve been witness to and it’s nearly miraculous that Spielberg was able to pull it all together. What makes Who Framed Roger Rabbit truly a great film of the 80s cinema is how we see the cartoon characters. This probably has more resonance with people who saw this film as children because, in essence, what the film is doing is rounding out these characters, if not that adding dimension at least. Whereas in shorts we knew what Bugs Bunny was going to say and how Daffy would respond. Here we saw them in different situations and in a new light. It’s something kids do all the time: take characters that have existing attributes, stories, etc. and put them in new ones either just in their own imagination or with the aid of action figures. This makes it such a rich and pleasing cinematic experience. While as children get to bask in whimsical awe that all these characters we never saw interact are running around together (Donald and Daffy) we also get wrapped up in the mystery and it becomes very suspenseful. For adults the opposite effect must be true the suspense and plot keep you in it and the cartoon characters take you back in time, making this a unique experience for all who see it. It is truly a gem of the 80s which was hailed as a ‘landmark’ at the time but hasn’t had much said about it since. Spielberg attempted to make Roger a new star of shorts but the logistics probably got in the way and only a few were made, however, Spielberg has continued to work with animation making the all computer animation Shrek, yet another breakthrough and creating such television series as Tiny Toons Adventures, Anamaniacs, Freakazoid! and Histeria. Bluth’s story is one of those twenty-years-in-the-business-overnight-success-stories. In 1982 he released his first film The Secret of NIHM and it was a success. In fact, he didn’t have a bust in the 80s following that up with An American Tail, The Land Before Time and All Dogs Go to Heaven. 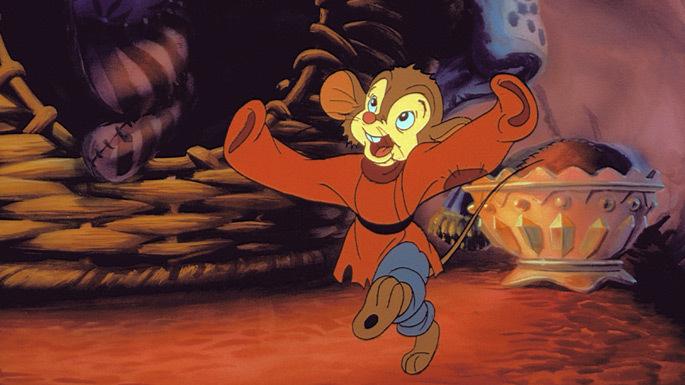 While he’s never been on a Disney-like scale he has made quality films and continues to make his own works. As a businessman and a producer, he’s never said no to a sequel. God knows how many Land Before Time films there are now but he does have his standards as a director and his most recent animated sci-fi adventure Titan A.E. received sharply mixed reviews. Animation is definitely now the domain of television. [Obviously this no longer holds as animated features now come from all studios and have spawned an Academy Award category all their own.] The short which used to be on before a feature film, is now paired with two other shorts and called a television show. The stage for this change was set in the 1980s as we will see in the television section.